Questions and answers published in The Daily Progress on August 14, 2011. Do you support construction of the Meadow Creek Parkway in the city? Yes — it means better access to jobs, more households to support and grow our downtown businesses, and a growing tax base to pay for amenities and services such as excellent public schools and parks. It’s an important element of better connectivity, to support stronger bus service and diffuse traffic bottlenecks like Route 29; the overall design also includes two-way bike lanes and multi use trails, to help us leave our cars at home when possible. If I am elected, the parkway will be part of a holistic regional plan to reduce sprawl, preserve farmland and shrink our ecological footprint. Do you support the approved water supply plan or a different approach? I support the earthen dam at Ragged Mountain Reservoir, because it makes environmental and economic sense.To be authorized by DEQ under the law, our water supply plan must meet both human and natural habitat needs; no one has shown that dredging alone could do that. The Council Compromise Plan strikes the right balance between conservation and ensuring an adequate, permanent water supply — and it doesn’t preclude the elective dredging RWSA plans to do for the Rivanna Reservoir.We’ve spent $5 million since 2006 studying this issue; let’s redirect our energies and limited resources to address other important issues. What is the most important thing the city can do to create jobs? Show businesses that the city “works” — for employers and for workers. Businesses considering Charlottesville need to see a well prepared workforce (education and skills training, for adults, as well as children), a good multi-modal transportation network and solid physical infrastructure buildings, as well as the water, power and other systems that support them).They should see a community that supports its home-grown entrepreneurs, cares for the environment by minimizing its footprint and welcomes families and people at all ages and stages of their lives. When businesses see a good“home” for themselves and their employees, the jobs will follow. Does the city have an affordable housing problem? What should council do? There are at least two concerns: lack of city housing that teachers, first responders and others in the workforce can afford (to buy or rent); and pockets of concentrated public and assisted housing which have become socio-economically isolated from their surrounding neighbors. It’s a sadly perfect example of how looking at a“problem” piecemeal can frustrate efforts to“solve” it; these issues require attention to economic, employment, transportation and education elements as much as the actual roof-over-your-head element in order to make progress.That’s council’s job — to help citizens step back, assess complicated situations and attack them on multiple fronts to move forward. What should the city do on the issue of addressing poverty? We can work with residents in areas where poverty is most physically concentrated to come up with principles, priorities and strategies to expand economic opportunities, like PVCC and CATEC “storefronts” focused on adult learning and jobspecific training programs, and equitable neighborhood revitalization efforts that de-concentrate lowincome housing without displacing residents and increase income levels, savings and wealth for existing residents.We can work on meeting the needs of workers — child care, transportation, and so on — because when folks have the dignity of good work, socio-economically diverse neighborhoods develop naturally, to everyone’s benefit. What is the city’s biggest challenge in transportation? We need greater connectivity and transportation choice to distribute vehicular traffic and more workforce housing in the city to support public transit. Some neighborhoods on the county border bear an unfair share of the everyday traffic burden, in part because there aren’t enough different ways to get“from A to B” within the city to diffuse traffic more evenly.The Meadow Creek Parkway, Hillsdale Drive Extended, the Fontaine-Sunset Connector and other such projects will serve to increase connectivity for multiple modes of transportation. Strategic and sensitive infill along our growth corridors, with housing for a range of income levels, will bring the ridership needed to sustain an excellent public transportation system. What will be your top priority if elected? We need to re-establish our commitment to being a well-functioning governing body; it won’t do any good to have council be transparent and accountable (things it must always be) if all we produce is dysfunction and discord.To be good partners with each other as councilors, with Charlottesville residents, and with our neighboring jurisdictions and UVa, we have to step back and focus on why we’re on council, and what we need to do to best serve each citizen and the common good. Council needs that bedrock consensus to tackle complex issues and help make Charlottesville an even better place. Each voter could vote for up to four candidates. ↑ Web. Dems sweep City Council elections, Graham Moomaw, Daily Progress, World Media Enterprises, November 8, 2011, retrieved November 8, 2011. ↑ Web. Recount confirms Democratic Council noms, Graham Moomaw, Daily Progress, World Media Enterprises, August 22, 2011, retrieved August 23, 2011. ↑ Web. So far, five Democrats to vie for 3 City Council nominations in June primary, Staff Reports, Daily Progress, World Media Enterprises, February 24, 2015, retrieved February 25, 2015. ↑ 6.0 6.1 6.2 Web. Kathleen Galvin, Architect, Charlottesville, VA, retrieved February 16, 2011. ↑ E-mail. Paige Rice, City of Charlottesville. "RE: list of appointments." Message to Sean Tubbs, Charlottesville Tomorrow. January 7, 2016. ↑ Web. 2015 November General, State Board of Elections, November 4, 2011, retrieved July 28, 2016. ↑ Web. Council's elected Dems design next steps, Chiara Canzi, C-VILLE Weekly, Portico Publications, November 15, 2011, retrieved November 16, 2011. Print. November 15, 2011 . ↑ Web. Official Results November 8, 2011 General Election, City of Charlottesville, 8 Nov. 2011, retrieved 15 Nov. 2011. ↑ Web. 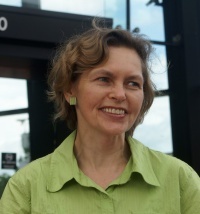 Kathleen M. Galvin: Candidate for City Council, Charlottesville City Democrats, 31 July 2011, retrieved 8 August 2011. ↑ Web. Pride before a fall: Galvin campaign reacts to Schilling endorsement, Kathleen Galvin, August 18, 2011, retrieved November 16, 2011. ↑ Web. Democratic hopefuls weigh in on the issues, Graham Moomaw, The Daily Progress, 14 August 2011, retrieved 15 August 2011. This page was last edited on 8 April 2019, at 13:26.